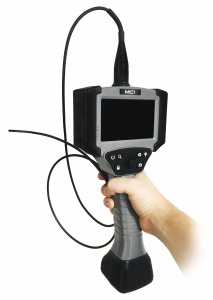 Have a broken or damaged borescope? Don’t worry! We are here to help you out. The trained technicians and state-of-the-art materials at SPI can ensure that your borescope repairs are done with our expertise and care. We can repair your borescope to meet the required performance and standards. We assure that you would be satisfied with our quality, professional service, and prompt turnaround time for your borescope repairs. If you have an SPI borescope which requires repair, please don't hesitate to contact us. Though with SPI Borescopes repairs are extremely rare, if you ever encounter a borescope repair issue, just give us a call. All you need to do is make a call to your sales representative or the company’s contact number mentioned on the top of this page. We will try to troubleshoot your borescope repair issue over the phone but in case we are unable to solve it on the call, you can send your borescope back to SPI for a cost-effective and speedy repair. If the borescope repair is covered under warranty, you do not have to pay for the borescope repair. Borescope repairs due to factory defects are covered under the SPI Borescopes manufacturer’s warranty. 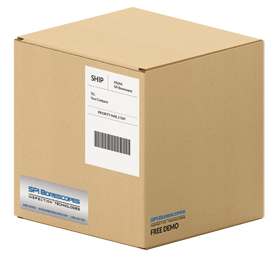 SPI offers a one year warranty for its borescopes which is effective for a 12 month period from the date of purchase. During this warranty period, borescope repairs will be done by the company while not charging the customer. This warranty will cover repairs due to any manufacturer defects of the borescope or borescope components. However, the warranty will not apply to the borescope repairs due to misuse or accident caused by the customer. Generally, borescope repairs for a defected pipe inspection camera involve re-terminating the head of the camera at the compromised section or break of the push rod. In most of the cases some working length of the pipe would be lost, however, the cost savings would be considerably more as compared to buying an altogether new pipe inspection camera. Camera repairs are generally not covered under warranty except that it can be categorized as borescope component factory defect repairs. As probes are used for navigating around the areas of inspection, the tip of the probe has to be maneuverable by means of electronic or mechanical control. In case the probe f your borescope is damaged, your inspection process would definitely be halted. Probe repairs are generally not covered under the 1-year warranty offered by SPI except that the probe repair can be categorized as a borescope component factory defect repair. 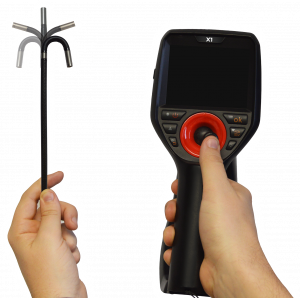 The handheld units of our borescopes have been designed for easy joystick handling and grip. Damages to the handheld unit can certainly hamper the inspection process so they must be repaired at the earliest. Typically, handheld units repairs are also not covered under the 1-year warranty for borescope repairs except that they can be categorized as borescope component factory defect repairs. It is critical that you regularly check your borescope for the signs of wear and tear. Due to the normal aging and wear of the borescope, wear and tear damages are caused to the tool. These damages are inevitable and occur naturally and should not be ignored. SPI also performs competent borescope repairs for units that show signs of wear and tear. For such borescope repairs, the customer is provided with a quote for how much the repair would cost. Some damages to the borescope are caused due to mishandling of the equipment or its improper use. Damages to the borescope caused by the customer are not covered under warranty and these borescope repairs are paid by the customer. However, before the repairing, the customer is given a quote for how much the repair would cost. A borescope is an optical tool that comprises of a flexible or rigid tube having an objective lens on one end and an eyepiece on the other and connected in between through a relay optical system. The device is used for viewing areas that could not be visible otherwise and is placed inside the item that is being assessed while ensuring that the item is not destroyed. The flexibility of the camera probe allows it to get in between up pipes and narrow gaps which eventually make it easy for inspecting, diagnosing and then fixing the potential faults. Borescopes are generally meant for the inspection mechanical parts, plumbing, wiring, or ventilation. They are used for internal viewing of pipes, turbine engines, gear boxes, cast parts, internal combustion engines, heat exchanger tubes, welds, machine or manufactured parts, etc. We ensure that our products cater accurately to your inspection needs. SPI borescopes not only simplify your inspection processes but can make them more cost-effective and efficient. The X1 Series Articulating Video Borescope comes with a strategic and sleek design, highest responsive articulation, and military-grade durability. These features make it a major breakthrough in Remote Visual Inspection Technology. 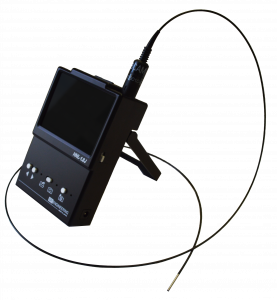 It is a portable borescope with a magnetized base which enables it to affix to metal surfaces. The DG1 Series Articulating Video Borescope offers the best quality, durability, and portability and yet it is quite competitively priced. It features 4-way 360° articulation, visual recording, and color display. LED lights around the tip of the camera make the pictures. It is ideal for nondestructive inspections due to the HD display and smooth articulation. The MC1 Series Mechanical Articulating Borescope is strategically designed and comes with cutting-edge features which result in an ultimate inspection experience. With an unbeatable price, the motor-driven Borescope offers an excellent battery life. The portable design, crystal clear display, and smooth articulation lead to easier and quicker routine maintenance inspections. 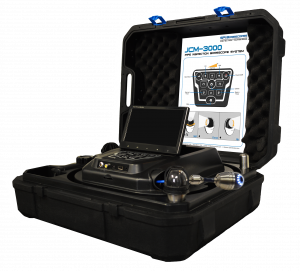 The JCM 3000 Pipe Inspection System, with its Remotely Controlled Camera Articulation and extreme durability, is a key innovation in High-End Digital Borescope Pipe Cameras. Longer insertion tube lengths, interchangeable cameras, and many more upgraded features of this revolutionary Pipe Inspection System make the inspection experience an ideal one. The 7.5” LCD display lets you view every possible detail while the 4-hour battery life makes this inspection equipment extremely portable. The Ultra Thin Series 1.8 Micro Borescope is a super-ultrathin industrial borescope. It can be used for computer component inspections and ultra-small pipes and holes inspection. It features a 3.5” display, side view mirror tip, and SD card. SPI Borescopes is a company based in the United States which serves in the North American and international markets for non-destructive industrial inspection. Our specialization relates to the strategic manufacturing and distribution of high-quality tools for Remote Visual Inspection such as Borescopes, Industrial Cameras, Endoscopes, and more. Our company can certainly help you in making your inspection processes more effective, more efficient, and more improved. Overall, SPI serves each and every industry that would require using a borescope for in-depth inspections in areas that could not be visible otherwise. We employ superior materials, parts, and workmanship for repairing your borescopes. The technicians at SPI are appropriately trained to make sure that your borescopes are correctly repaired. After your borescope has been approved for repair, we ensure short turn-around-time as we know that a damaged borescope would be halting your inspection process. The estimates we provide for your borescopes are totally free of cost. In addition to this; the price estimates we quote for your borescopes are in accordance with the market rates. Our quality assurance program ensures that your borescopes are repaired effectively and properly and they are ready to be used again efficiently. Our proprietary computer software system ensures that every equipment which reaches our facility for repairing is kept track of. Our experience in the industry has enabled us to obtain the highest quality of replacement components and parts from our suppliers for various types of borescope repairs. There is a loaner program offered by SPI for customers whose borescopes have been undergoing repair at SPI. 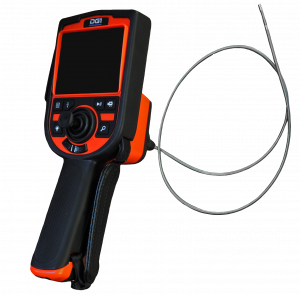 This program is intended to provide the SPI customers with loaner instruments in case that their borescope repairs have been anticipated to take a longer time and the repairs are considered to be major ones. The loaner program makes sure that your inspection process is not disturbed whilst your borescopes are undergoing repairs at SPI. Before you begin with your inspection, make sure that the battery of the borescope is fully charged. The majority of the borescopes have a full charge of three or more hours and this time is quite sufficient for uninterruptedly carrying out most inspections. In order to achieve maximum articulation, fully extend the insertion probe. If you try on articulating the probe of the borescope when it is coiled up then the articulation might be poor and eventually, the borescope would be internally damaged as well. Therefore, fully extending the tube would finally enhance the life of your tool. While inserting the probe in the component, care must be taken and the insertion must be slow. This will enable you to have a clear and exact view of the damage that has been taken placed inside a component. On the other hand, if you insert the probe too roughly or too quickly, you might miss on some critical visuals and could even lead to potential damages to the probe itself. When you are conducting your inspection ensure that you are slowly articulating the probe. This would let you completely view the surroundings and spot signs of damages such as cracks. Articulating too quickly might result in missing out some important details and can eventually damage the probe as well since the involved cables would over-extend. Completely avoid inserting the probe and using the borescope for inspecting a component that is turned on or is moving. This can lead t serious damages to the probe and cameras of the borescope. Switching off the component would also minimize the personal safety hazards that the user faces while reaching inside the components. Before immersing the borescope in water, you must ensure whether the borescope is water resistant or not. If the unit is not waterproof, never immerse the handheld unit in water. Moreover, the electric charge carried by the LED lights and the small camera make some borescopes intrinsically unsafe. Unless the borescope is completely waterproof, submerging these borescope components in water can lead to electrocution. Ensure that you are operating your articulating borescope in a safe operating temperature range. This generally ranges from -4 degrees Fahrenheit or -20 degrees Celsius to 140 degrees Fahrenheit 60 degrees Celsius. If you operate your tool outside this safe temperature range then your borescope might be deteriorated. This could even lead to permanently damaging the tool and causing costly repairs. Once your inspection task is completed then you must be careful while pulling out the probe of the borescope. Slowly and carefully pulling out the probe makes sure that the probe does not get damaged while on the way out or gets stuck inside the equipment or engine being inspected. Customers can either call us or reach out to their sales representative if they are facing some issues with their borescope. Once the damaged unit reaches us we make sure that the required repair process is followed to ensure that the borescope is repaired effectively and efficiently. When we receive any borescope for repairing, we begin with inspecting the damaged unit. Next, we check whether the damage falls in the category of factory defects or not. We offer repairing of factory defects, borescope camera damages, borescope probe damages, borescope handheld unit damages, wear and tear, and user-caused damages. First, it is assessed whether the borescope received for repairing is factory defected or not and whether the costs of repairing could be covered under the one year warranty provided by the company with its products or not. In case if it is a factory defect, the 1-year warranty would apply and hence the customer would not be charged for the borescope repairs. The borescope unit would be sent to the relevant department for repair. In case the 1-year warranty does not apply to the borescope repair, the company would provide the customer with a quote for how much the repair would cost. This would be an estimate of the borescope repair. SPI ensures that the estimates provided by the company for repairing the damaged borescope units are competitive and do not cost a lot to the customer. In addition to this, the repair estimates or quotes are provided completely free of cost. If the customer accepts the quote provided by the company, the borescope unit is sent out for repairs to the relevant department. Our proprietary computer software system ensures that every equipment which reaches our facility for repairing is kept track of. It is ensured that the damaged unit is efficiently routed to the concerned department so that the repairing process is undergone effectively. The department will inspect the unit and repair it accordingly. SPI’s trained technicians and state-of-the-art supplies can make sure that your borescope repairs are performed in a competent manner. After your borescope has been approved for repair, we ensure short turn-around-time as we know that a damaged borescope would be halting your inspection process. SPI has the capabilities required to repair your borescope to ensure conformance with the required standards and performance. Our quality assurance program ensures that your borescopes are repaired effectively and properly and they are ready to be used again efficiently. SPI assures its customers that they would be satisfied with the company’s quality, professional service, and prompt turnaround time for their borescope repairs. If the borescope repair was covered under the 1-year warranty, the unit is handed over to the customer after repair and the customer is not billed. On the other hand, for borescope repairs that were not covered under warranty, the customer receives the repaired unit and they are invoiced for the borescope repair. The trained and talented staff at SPI is available to help you and your inspection needs. We not only offer a range of excellent borescopes but could also fulfill your borescope repair needs as well. We will efficiently and quickly assess your borescope completely free of cost, perform the required repairs for the borescope repairs, and hand over your repaired borescope. All this is done at a price which is defiantly within your budget for borescope repair. Do give us a call for discussing your borescope repair needs!